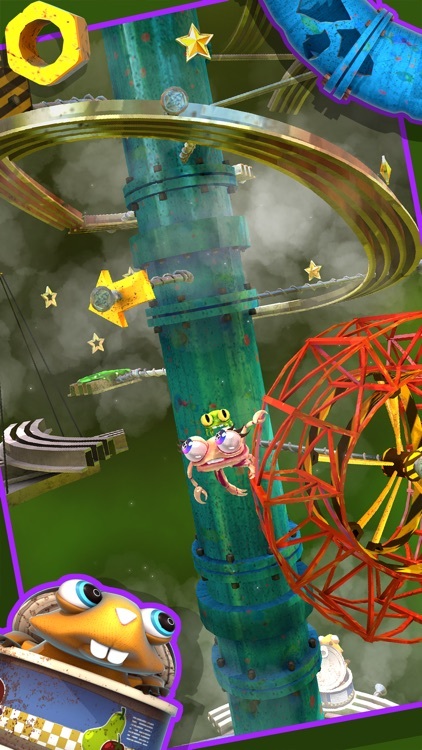 Mr. Crab 2 is a sequel to the original Mr. Crab. 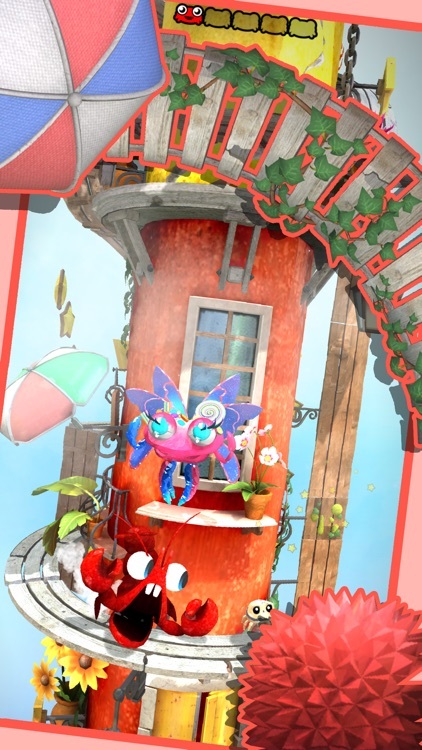 It's a one-touch platformer where Mr. Crab scuttles along a vertical pillar of some sort and players must help him jump to avoid obstacles and also collect the stars while rescuing the baby crabs. Jump and jive. 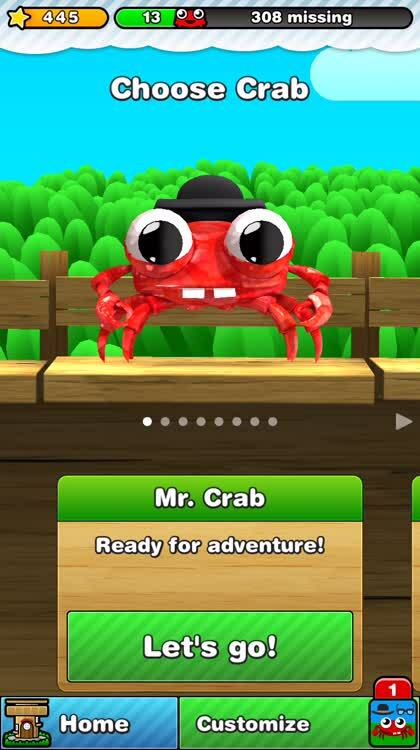 Just like in the original Mr. Crab, your superhero will climb up, jump over gaps, and bounce off of silly objects in search of baby crabs. 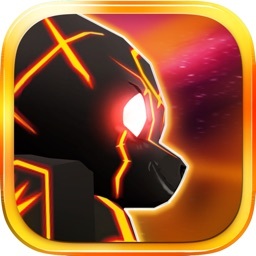 Try to save them all in each level or go back and replay levels to get those you missed. 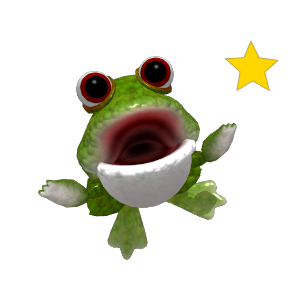 And, be sure to collect valuable stars you see along the way. 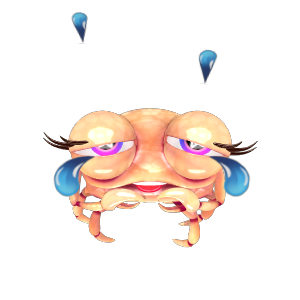 Pick a cool crab. 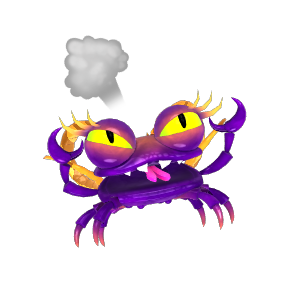 You will start with the iconic Mr. Crab, of course, but can get new characters too. 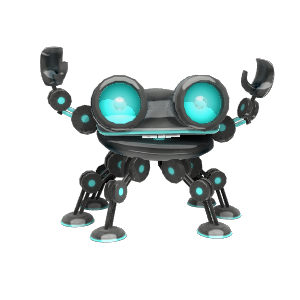 Find the crab babies to unlock King Crab, Roxy, Mr. Frog, Nib-Nib, and more. 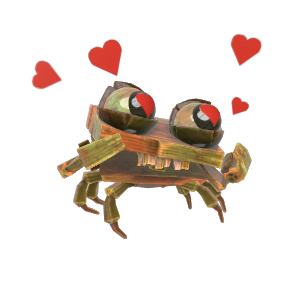 There are seven different crabs to unlock in all to make gameplay more interesting. Get some presents. 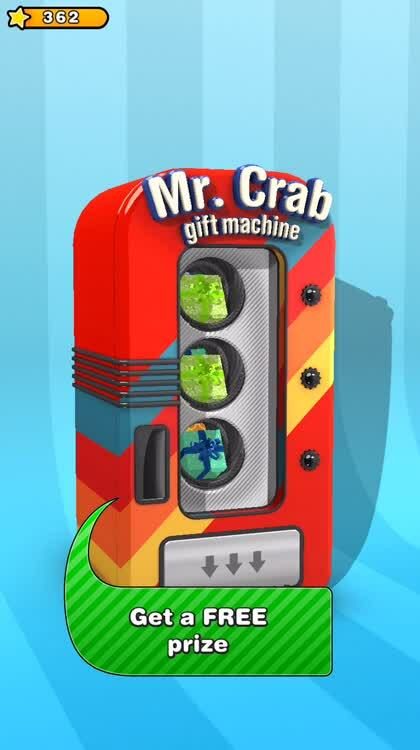 With the stars you earn, you can head over to the Mr. Crab gift machine for a neat prize. 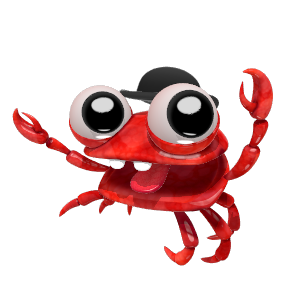 From cool hats to nifty glasses to a slick pair of shoes, you will be able to customize your crab for a fantastic look. 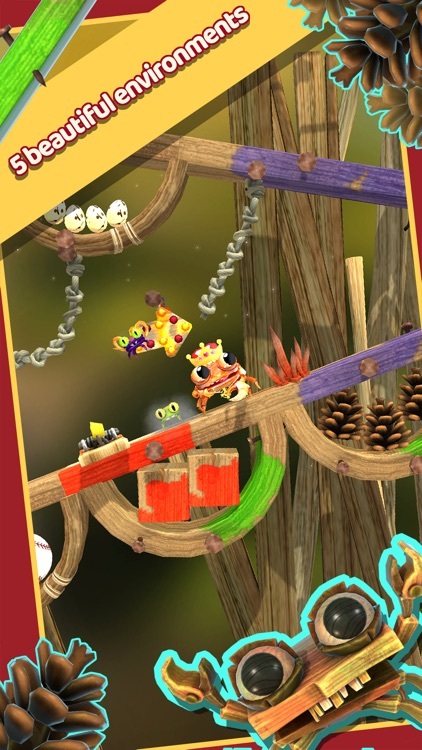 Redeem your stars for the prizes from the machine when you earn enough, because you never know what you might get. 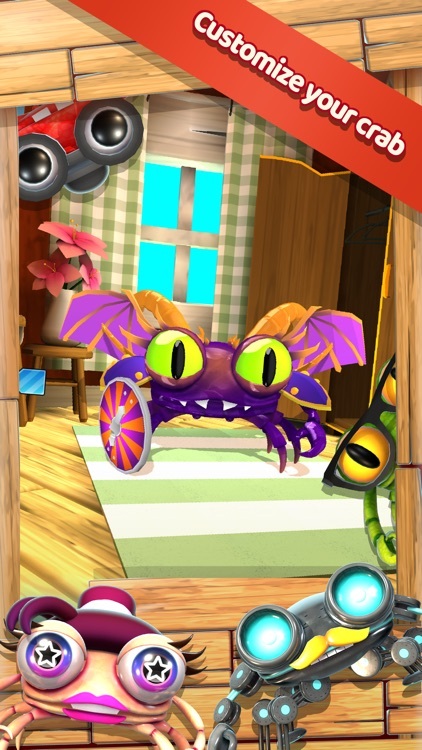 Mr. Crab 2 is the sequel to the original Mr. Crab that is sure to delight fans and newcomers alike. 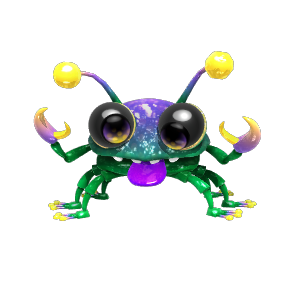 Help Mr. Crab jump to avoid obstacles as he scuttles upwards in an attempt to rescue the baby crabs and collect all of the shiny stars. 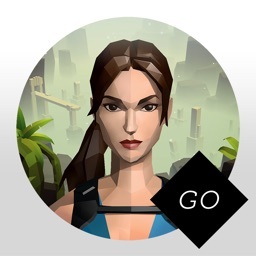 The one-touch control scheme makes this a perfect game to play anywhere, anytime. 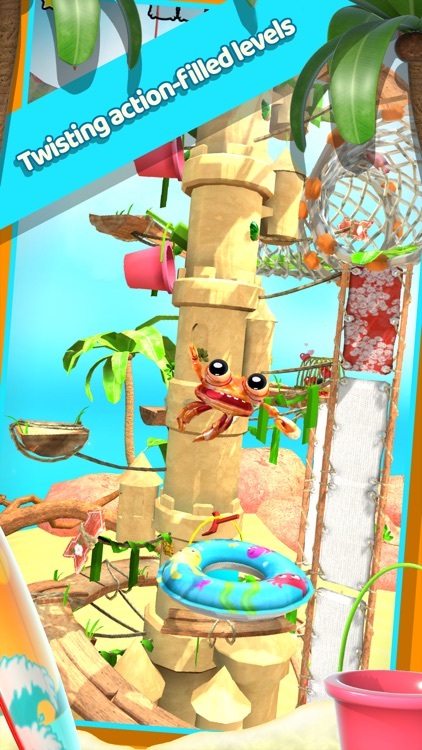 We're big fans of the original Mr. Crab game so we're happy that it has a sequel that is just as beautiful as the first game, but comes with even more crab-rescuing fun. 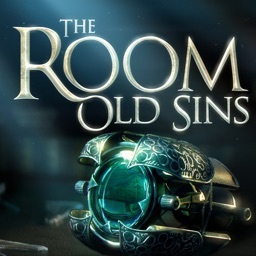 The one-touch controls are perfectly responsive and the game itself is fun and challenging. 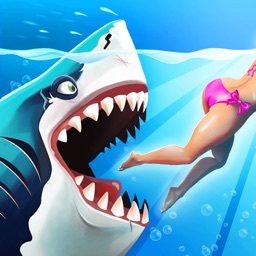 Mr. Crab 2 is proud to be part of ‘App Store Best of 2016’! Guess who's back? 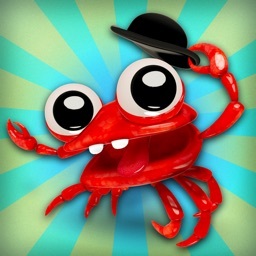 The irresistible, friendly and cool superhero Mr. Crab. This time he brought some new friends to join him on the most beautiful and meaningful adventure. 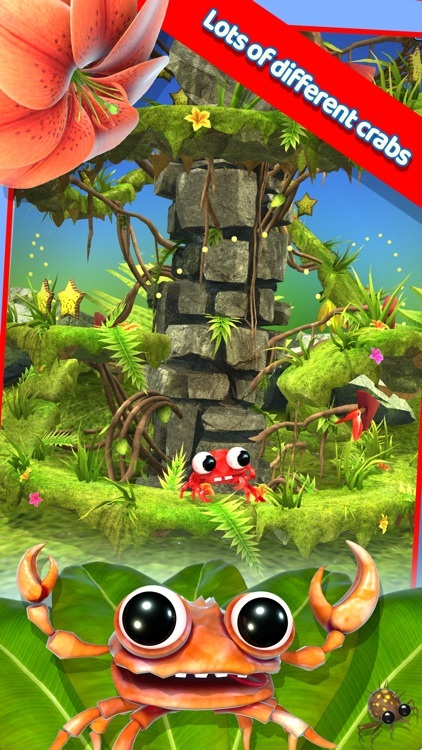 Will Mr. Crab and his friends manage to save all lost baby crabs? 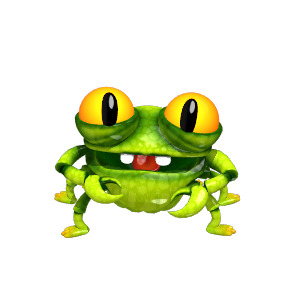 To be able to do this they have to master the jumping, go through exciting and adorable passages and last but not least look out for evil enemies. 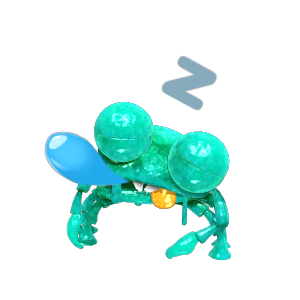 Will the crab heroes ever succeed? 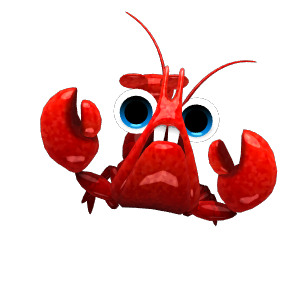 Now it's in your hands to help the Mr. Crab and his friends getting their babies back. 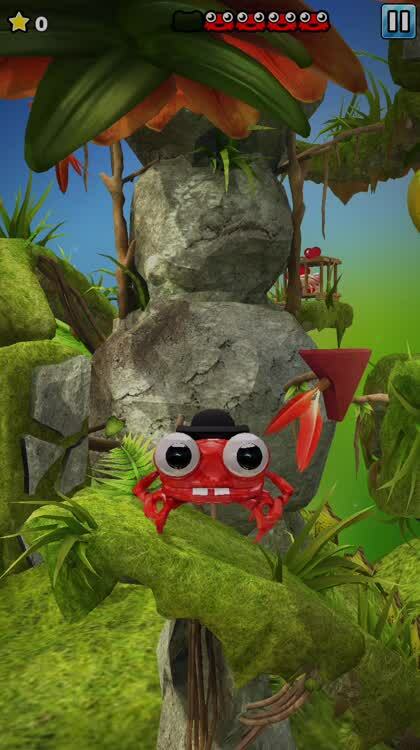 In Mr. Crab 2 you´ll need to use all your timing and quick thinking to get gold medals on every level. 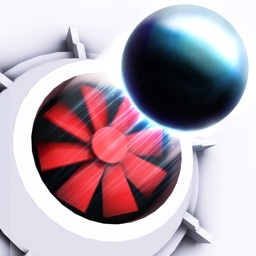 Lots of challenging and beautiful levels. Levels to unlock for free and level to get as gifts in the vending machine. Collect lots of fun stuff like hats and masks to customize your crabs.